EARLY morning sun warming a bank of dog daises and purple clover as I lace my boots. Walls made of boulders, dykes of yellow gorse, meadows of lush grass. Two telegraph poles painted red, white and blue. A stone road bridge with its parapets painted red, white and blue. And above the walls and the dykes, and the rustling green trees, rises a steep stony mountain with its head in white cloud. This is Slieve Binnian. And this is County Down . . . 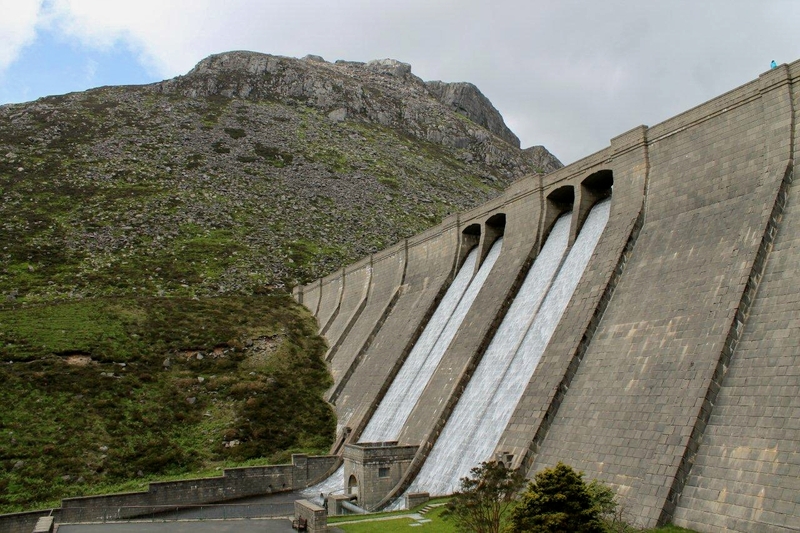 The wall was built between 1904 and 1922 to enclose the catchment area of the Mourne reservoir complex and has a total length of 22 miles (35km). Wikipedia says it was built by Belfast Water Commissioners, but I’ve a feeling that lads wearing ragged trousers and flat caps did most of the hard work. At the time, the wall was considered by some to be an extravagant and perhaps unnecessary construction scheme – but others maintained it kept a lot of men in employment and fed a lot of families during a period when poverty was almost endemic. Sounds like a worthwhile project, if you ask me. 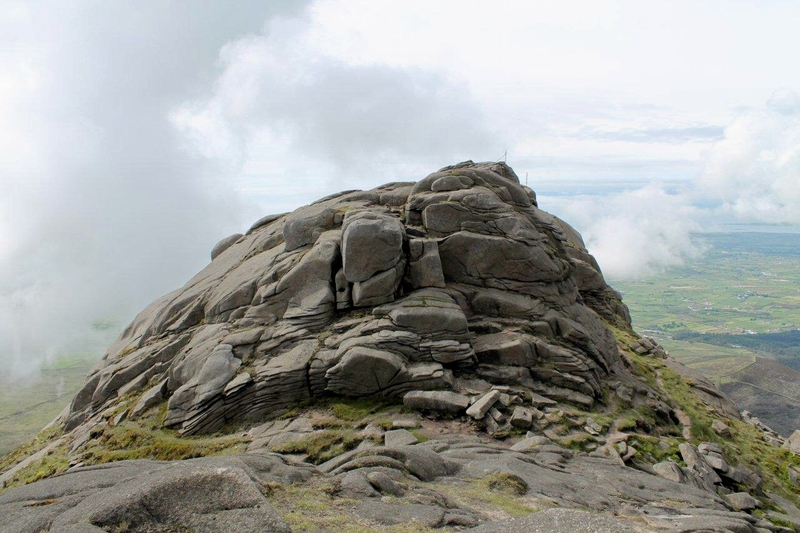 My plan for today was (note the past tense) to follow the wall over the knobbly summit of Wee Binnian and straight up the front of Slieve Binnian to its granite crown – but from below this looks a little bit tricky. 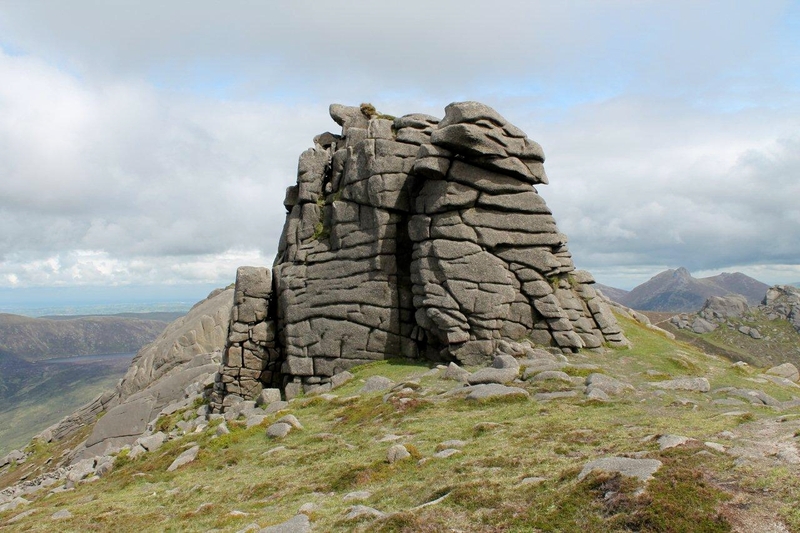 So I skirt around Slieve Binnian’s knees to a shallow gill on its south-east slope, follow a rattling stream to a windy col, and hop onto the highest granite tor with the sun in my face and the wind in my T-shirt. 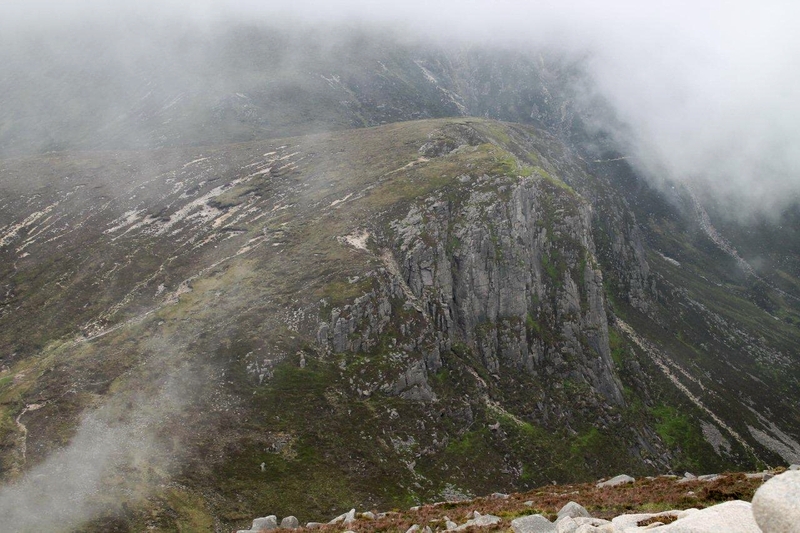 Slieve Binnian, by the way, has a height of 747m. That works out at 2,451ft. 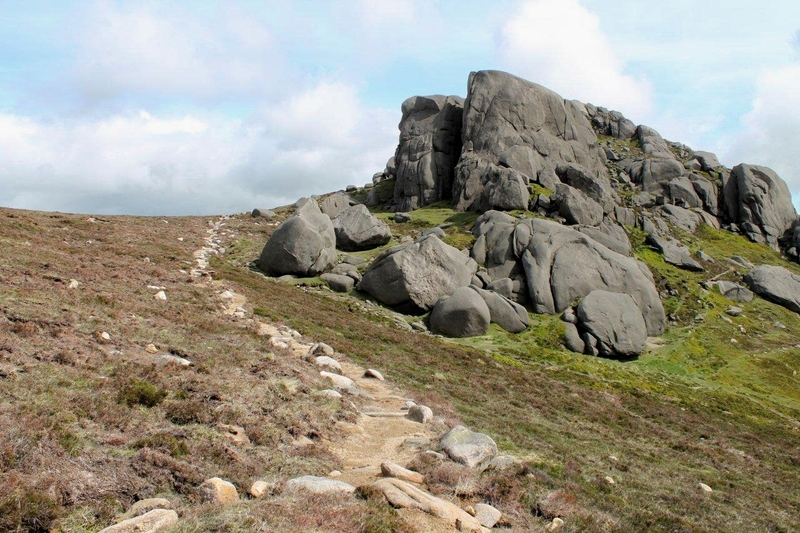 If the remainder of the day goes to plan – plans being a liquid thing – I shall be following a ridge of rocky tors north to Slievelamagan (704m, 2,309ft), Cove Mountain (655m, 2,148ft), and Slieve Beg (590m, 1,935ft) before dropping down to the head of the Ben Crom reservoir for a long trudge back to the car on lumpy paths and metalled roads. I reckon this is a round trip of about 20km (12 miles) with a great deal of climbing, descending, and climbing again. But for now I’m going to spend a few pleasant minutes sitting in the sun on the top of Slieve Binnian, gazing out across Carlingford Lough to the green hills of the Republic while mulling over the events of the past couple of days and whistling Carrickfergus. Second impressions of the Mournes: Driving down the A1 from Banbridge to Newry with the mountains hidden by cloud off to the left. The car in front swerves suddenly to avoid an object lying in the road, and I swerve instinctively behind. I glimpse the object in the middle of the fast lane as we fly past. It’s a shovel. A bloody shovel. Two hundred yards further on a yellow council truck has pulled onto the hard shoulder and four blokes in orange jackets are standing at the roadside gazing back at their shovel. Van Morrison’s singing Carrickfergus on the car stereo, a song that always makes my wife fall silent. “They’re looking for their shovel,” I say. She nods. The mountains remain hidden. 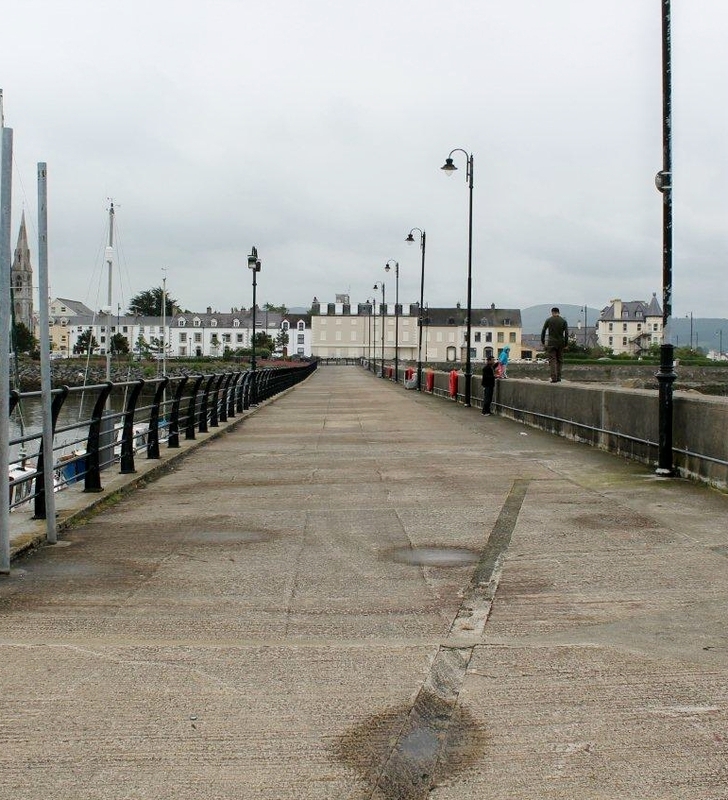 More second impressions: Still capped with dark clouds, the Mournes loom over the seaside town of Warrenpoint. I’m in an Around a Pound shop looking for a box of matches while Anne buys a pot chicken. It’s one of those shops that looks narrow at the front but goes back about seven furlongs. There’s an old guy following me around, which is a bit unsettling. He shuffles along the aisles muttering to himself. He’s the sort of bloke I know is going to engage me in futile conversation. “How are ye? Eh? How’s yersel? Was it you Ah was talking to yesterday?” That sort of conversation. I dodge down an aisle but he shuffles after me. I double back, and just as I pass him he stops, grunts, and turns to a shelf stacked with balls of wool. I watch him from a discreet distance. He slips a hand into his jacket pocket and withdraws a short length of the yellowest wool I have ever seen. It is yellower than daffodils and primroses. He holds the thread up to the various shades of wool balls, finds one that matches, stuffs it under his arm and shuffles off towards the counter. “How are ye?” he says as he passes. More second impressions: Quite unintentionally, certainly by accident, without the merest thought premeditated or otherwise, I manage to reverse the car down a flight of steps in a 17th Century farmyard on the outskirts of Kilkeel. Everyone is very concerned. Several people, who have emerged from surrounding buildings, are even mildly amused as well as being concerned. 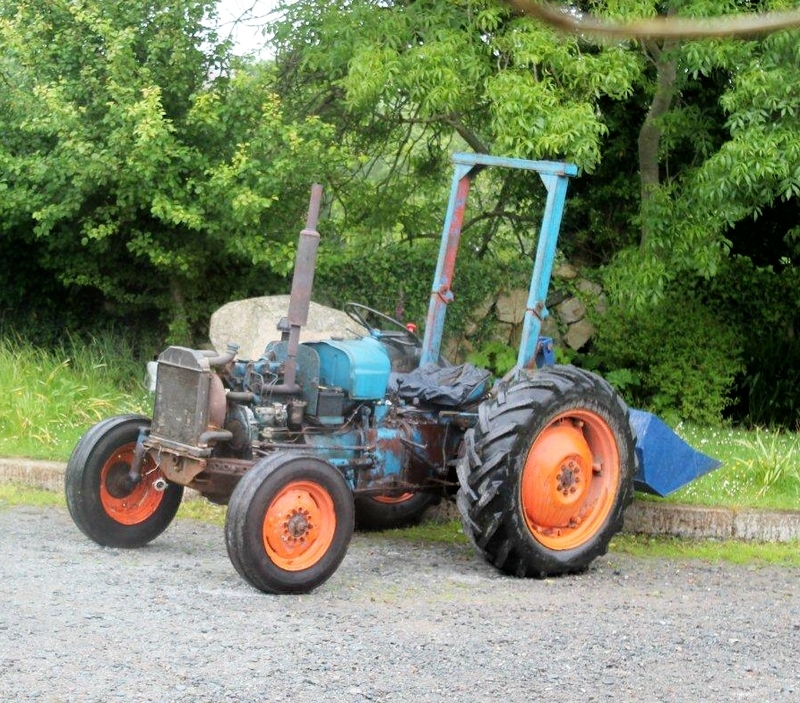 A nice lady called Lily phones a farmer, and the farmer says he’ll be along with his little blue tractor to tow me out, because the car won’t climb steps unaided. Apparently, my Suzuki Ignis is designed to travel on smooth surfaces and not up steps. It begins to rain and everyone retires to the buildings – including my wife – leaving me standing in the wet waiting for a man called George, with the car reclining at a jaunty angle not unlike Thunderbird 2 on its launch pad. After twenty minutes the rain ceases and shafts of sunlight crack through clouds and illuminate glistening meadows and banks of golden gorse. Beyond the fields, black mountains raise their shoulders to the skies. 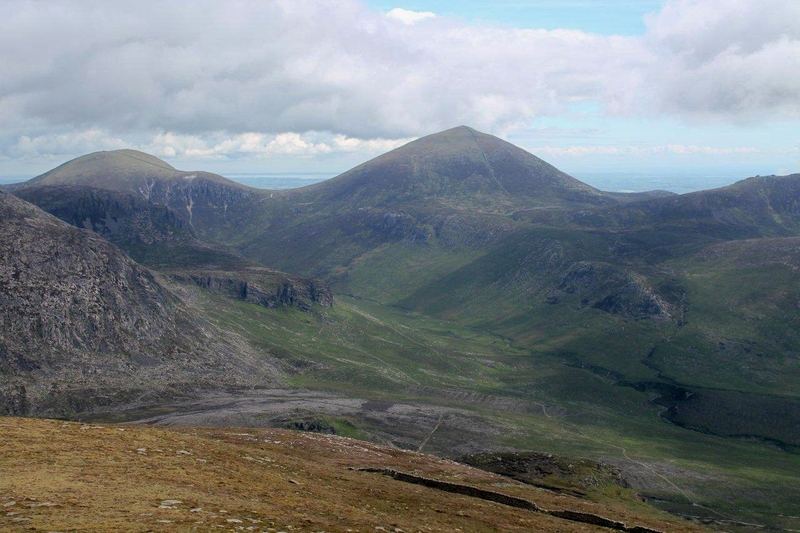 The nearest, and most spectacular, is Slieve Binnian. I must climb that mountain, I decide. Chug, chug, chug. Here comes George. That was yesterday. Today is today. 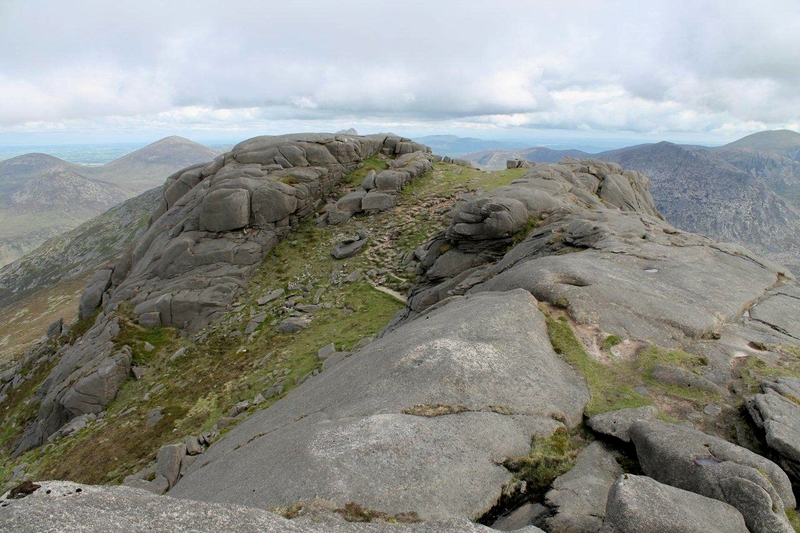 I leave the summit of Slieve Binnian and pass a formidable array of granite formations on the path along the ridge before dropping down to a col above Blue Lough then ascending a very steep 300m (call it 1,000ft) rocky slope to the summit of Slievelamagan. At this point the mist comes down and I am joined by three lads from Belfast. 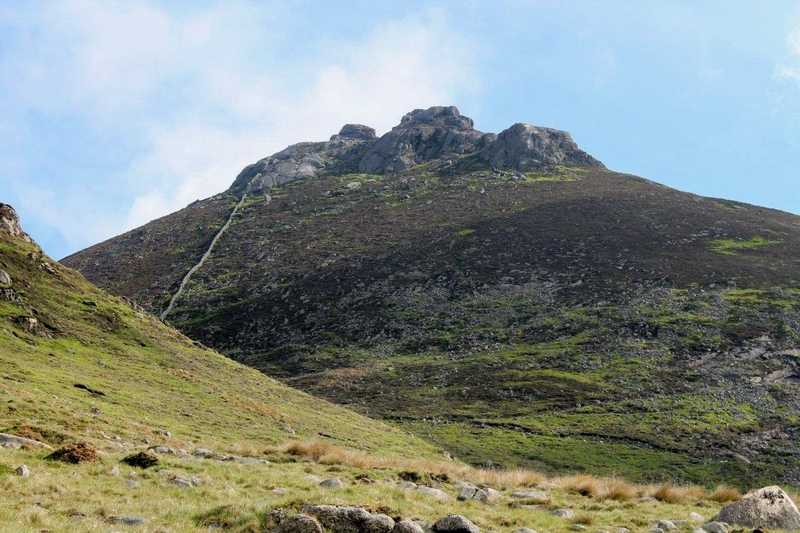 “This your first time in the Mournes?” says one of the lads, after establishing where I am from. I answer in the positive. Up here in the mountains we’re all lads. 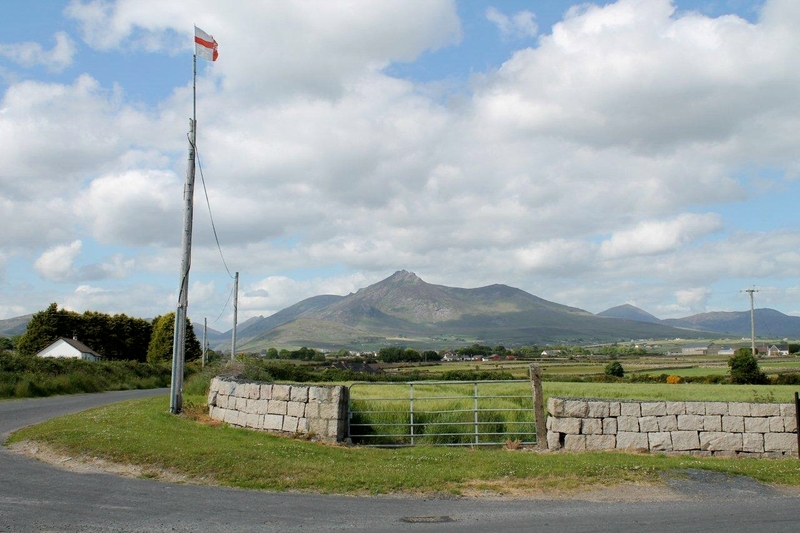 Down in the towns and villages, lampposts are decked with Union flags, red-handed Ulster flags and Irish tricolours. Kerbstones are painted red, white and blue or green, white and orange – not everywhere by any means, but just enough to remind the visitor that deep undercurrents of tradition, suspicion and desperation are allowed to gush through this country like blood through the veins of a tortured animal. But up here, away from the flags and the passion, we’re all lads. Quite where women fit into the equation is something I have yet to discover. 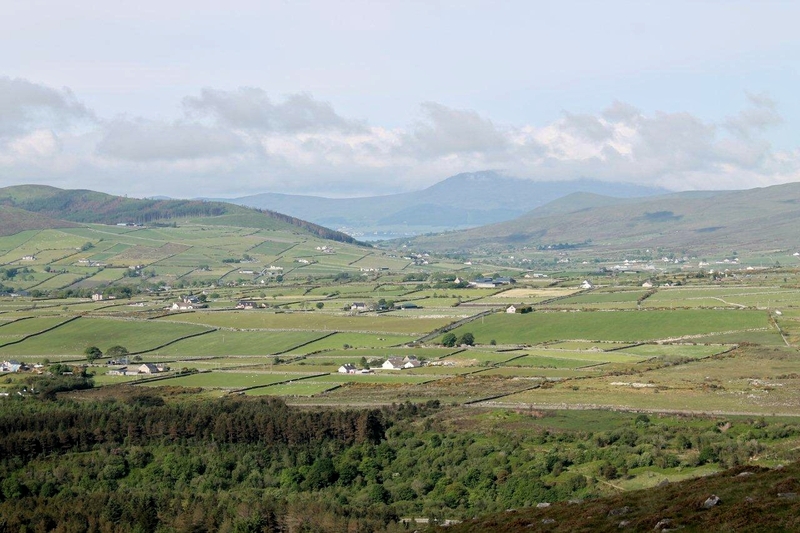 Cove Mountain and Slieve Beg are surprisingly craggy, their eastern faces falling to the Annalong River in scenes to rival any Lake District dale head. As the mist swirls around them I gaze in appreciation, wondering why I haven’t come here before. That’s the interesting stuff dealt with. 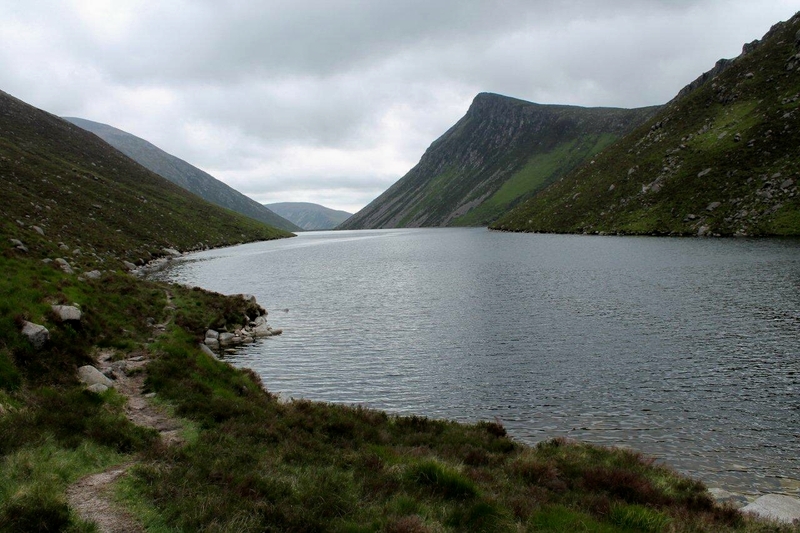 From Slieve Beg I rattle down to a col beneath Slieve Commedagh, head west along a good path for half a mile, then labour south across steep fellsides to the northern tip of Ben Crom reservoir and then the Silent Valley reservoir. 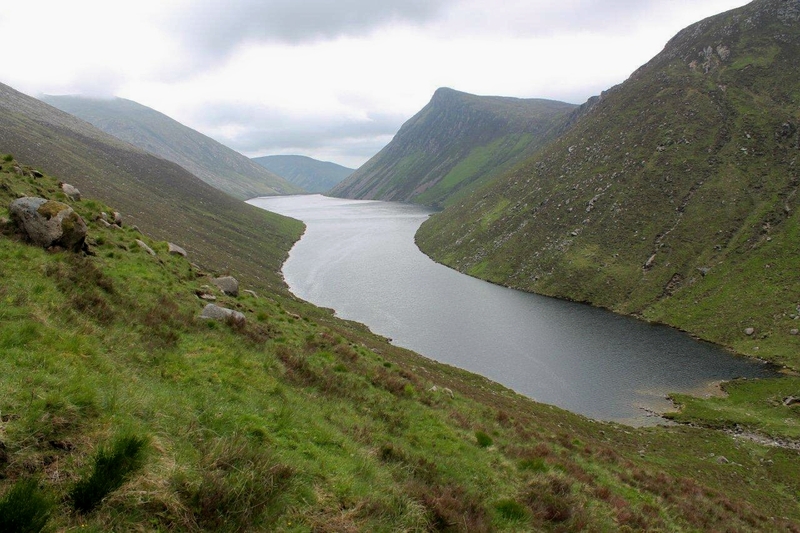 The return journey is a trudge along lumpy paths and water board roads – a reservoir slog. 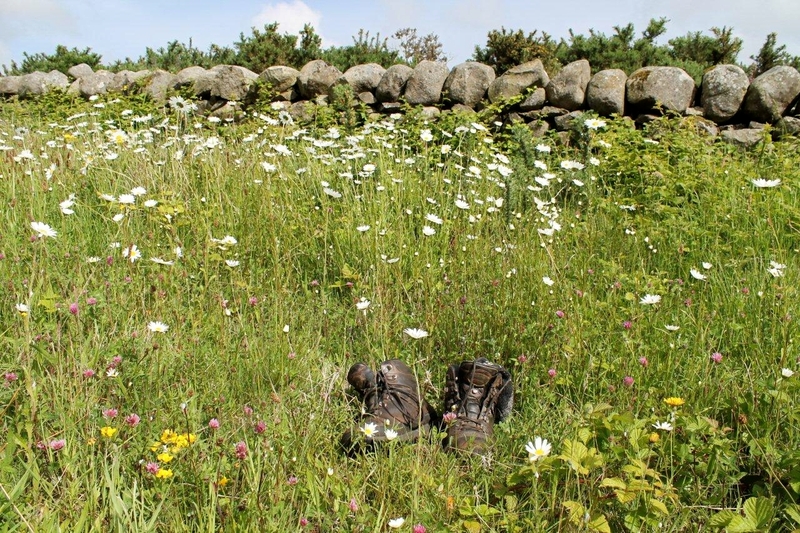 Back at the car, boots thrown off into dog daises and purple clover, I have time to chew over the day’s walk. 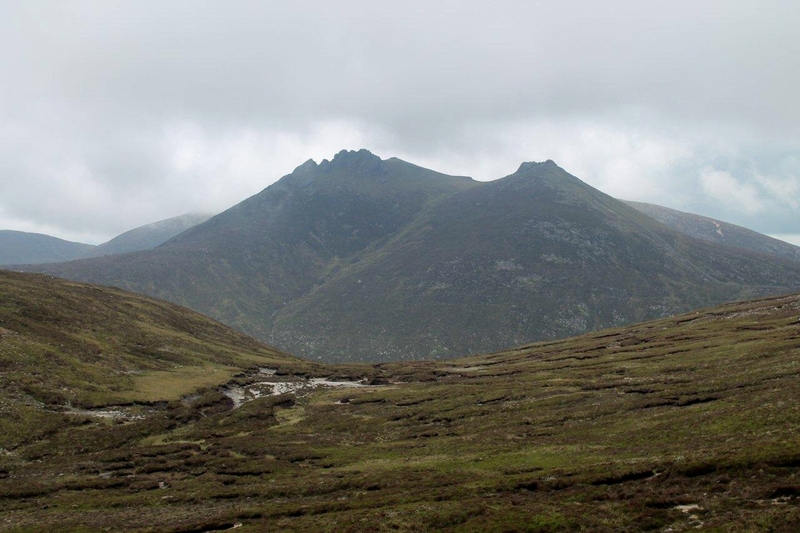 The Mourne mountains are much craggier, wilder and spectacular than I had ever imagined. 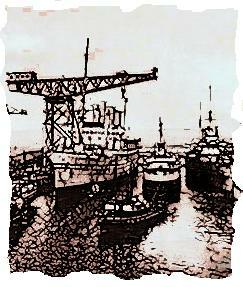 They are much more than a distant ripple on an Irish Sea horizon. They have an identity, a uniqueness that sets the mind racing. Like the lad said. 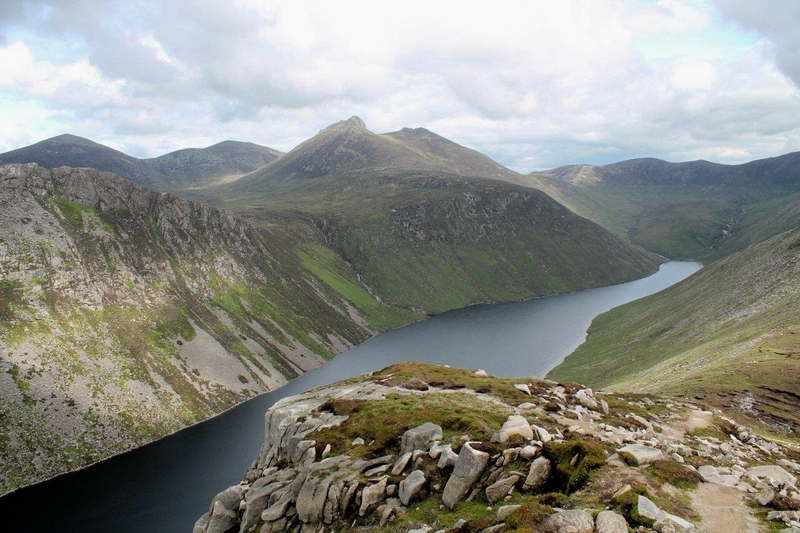 The Mournes are Northern Ireland’s best-kept secret. 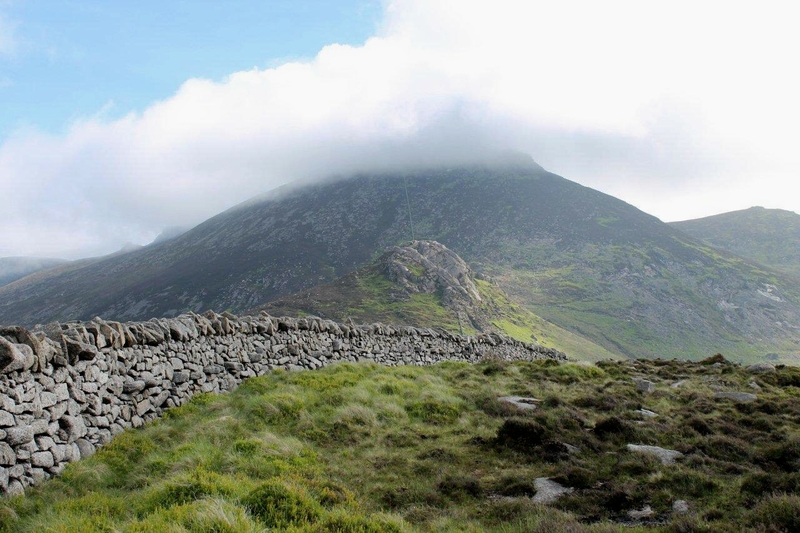 For more on the Mourne Wall, click here, or if you fancy a crack at the Mourne Wall Challenge, click here but count me out. Looking for somewhere to stay? This spot, Hanna’s Close, is ideal and I can absolutely, thoroughly recommend it. Mind the steps when you’re reversing the car. 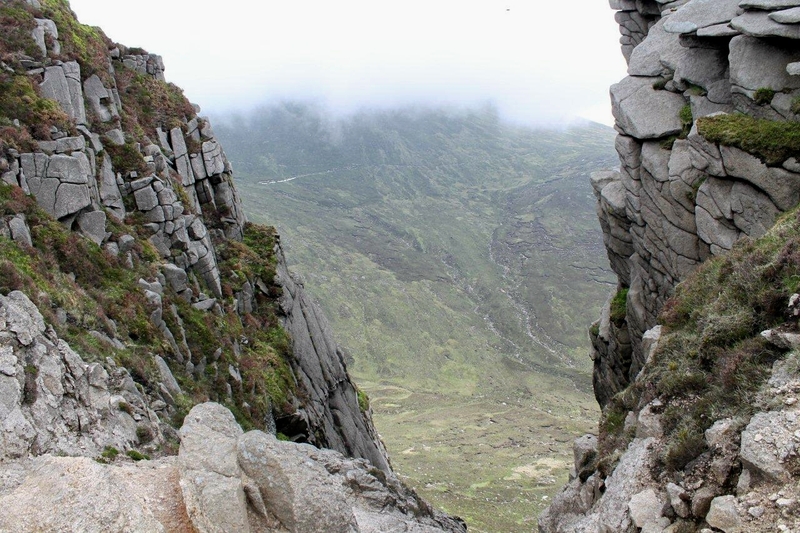 This entry was posted in Climbing, Environment, Geology, Hiking, History, Mountains, Mourne Wall, Walking and tagged Ireland, Lake District, Mournes, outdoors, The Lakes, WPLongform. Bookmark the permalink. It looks like a great holiday in Northern Ireland, Alen. It’s a very charming landscape. It could create some dependency. Actually, I would love to hike there. I’ll try to check the weather conditions in late August-September. I can understand your wife! You have to be strong mentally prepared to hear Carrickfergus to end, whew! The atmosphere reminds me of the movie, The Dead, written by James Joyce, directed by John Huston from a wheelchair just before he was dying. The story takes place in Dublin in 1904 at a holiday party. The film also requires mental resilience! Hej Hanna. 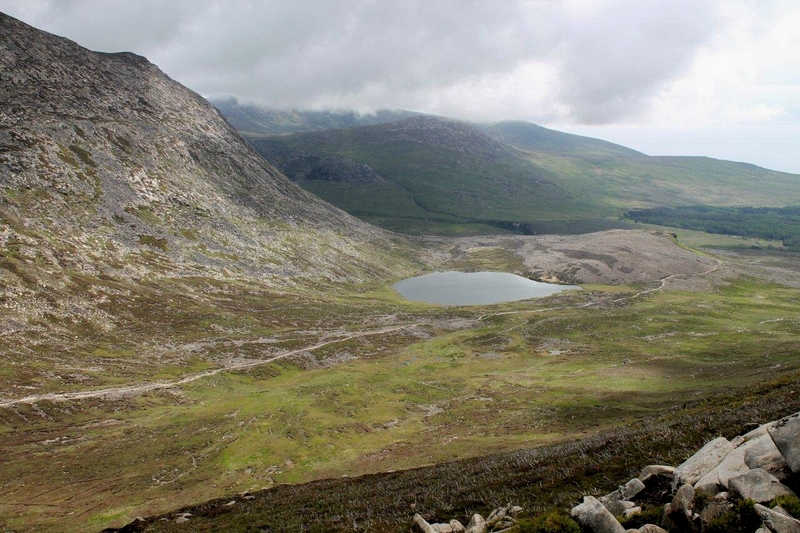 I’ve travelled all around Ireland over the years, and the Mournes are as peaceful a place as any for a walking holiday. There are plenty of bus routes, too, for people who rely on public transport, and we used buses to get around on a couple of occasions, which made a relaxing change. I’ve read a lot of James Joyce but The Dead has escaped me for some reason. I’ve just been glancing at it on the internet. Ulysses was hard work but strangely satisfying. A bit like climbing mountains. I’ll look out for that film. I had a lump in my throat Alen as I followed this blog. 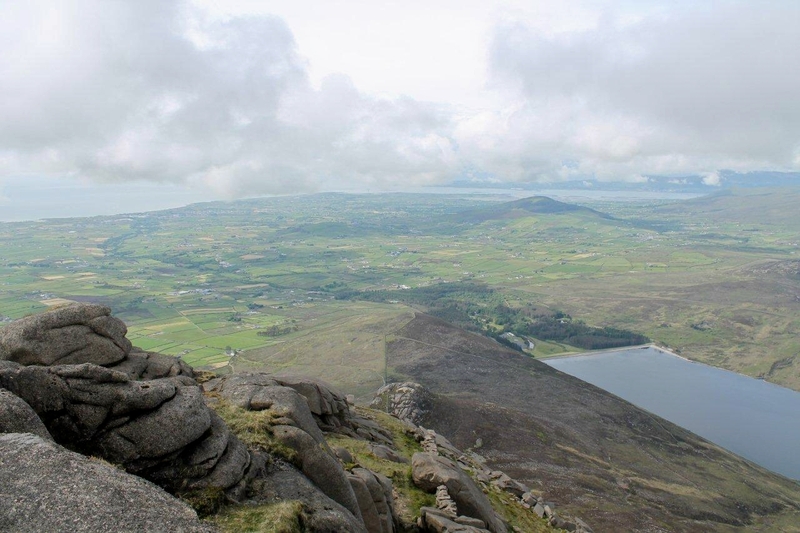 It is a long time since I have lived in my home country but I was born in County Down so the Mournes have a special place in my memory. The last time I was home it was to visit the north west coast – the most spectacular coast line in the whole wide world!!! 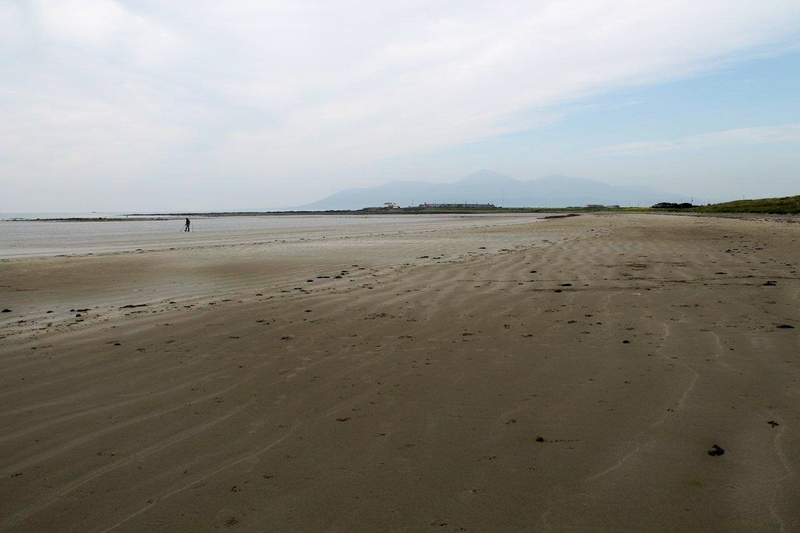 However I did call in to see friends who live in Cloughey and we spent a very pleasant evening hour on the beach savouring the Mournes in the distance. Hi David. Thanks for that. We had a couple of drives up the coast and a poke about around Coney Island, St John’s Point and Strangford. It’s a beautiful area. We also ventured across the lough to Portaferry, which I see is not far from Cloughey. We will certainly return. It’s a great place to relax and drink in the atmosphere, and the people are so friendly. Hi Chris. I’m glad I’m not the only person capable of doing such clever things with cars. I must add, it’s the first time I’ve done anything like that so I don’t make a habit of it. Yes, Ben Chrom reservoir’s very reminiscent of Wastwater – it crossed my mind at the time. 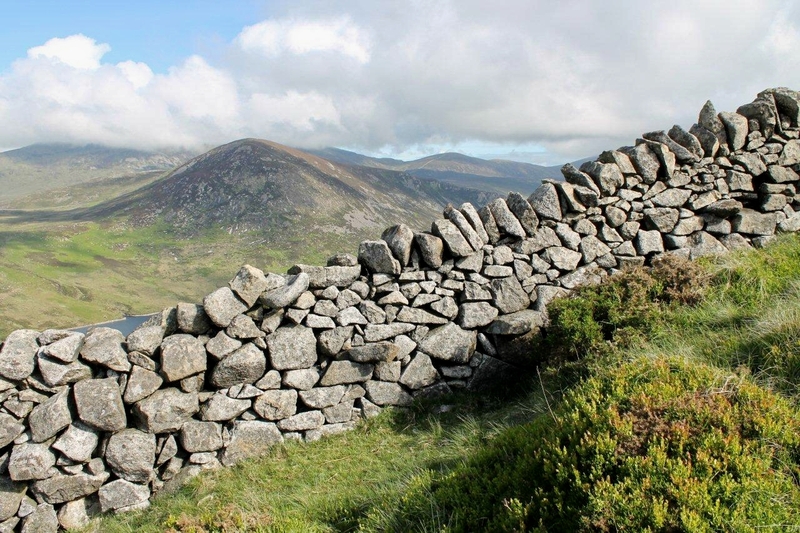 The Mourne Wall is quite some edifice. Sections of it, I discovered later, are capped with flat slabs and it’s possible to walk along the top. Love the self-sculpting granite (among other things). Hello Mrs Potter. 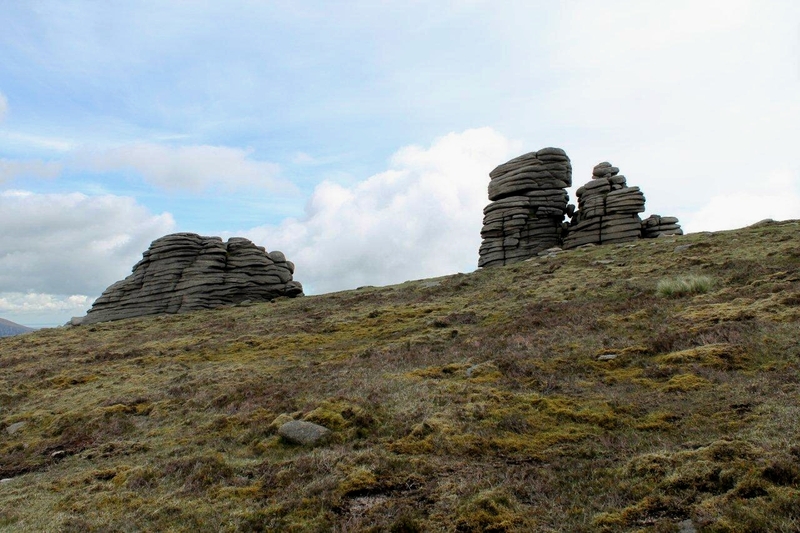 I had no idea the granite tors were up there until I stumbled across them. I should really look into how they were formed, but that would remove a little of their magic. Finn McCool probably had a hand in it, I expect. Now this is how you write a blog post! Thank you Nate. I enjoy posting stuff like this hoping that people will read what I’ve got to say. It’s a special bonus to receive pleasant comments like yours. Yeah, there’s definitely no politics in the hills is there? Not sure there’s much politics in bothies, bunkhouses or youth hostels either – shame it can’t be like that everywhere! That looks very much like Arran and therefore looks absolutely great. 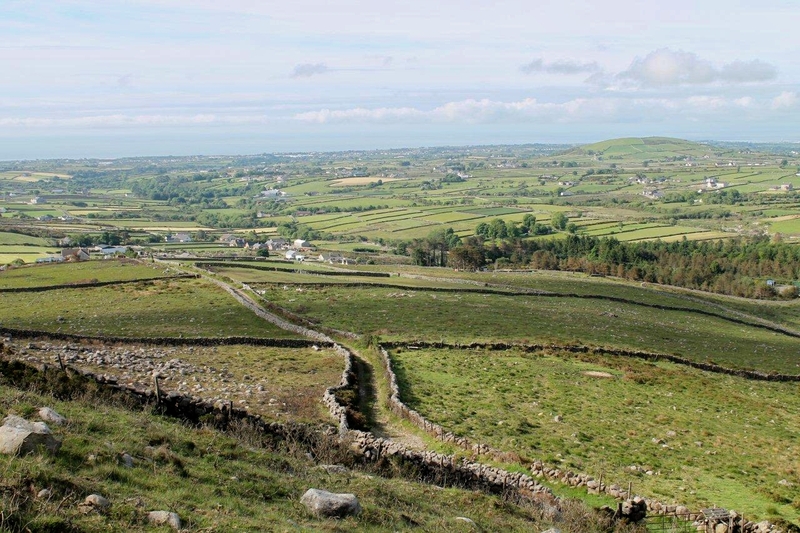 I’ve never visited Ireland and not sure whether I will but, if I do, I must keep those in mind – superb scenery! Hi Carol. Car’s okay, thank you very much. Not a single scratch, but I can’t say the same for my pride. You’re right – no politics on the hills, more of an unspoken consensus and mutual respect. I think hills attract people who understand each other and appreciate different cultures and backgrounds. For big lumpy things, hills are great levellers. I made a note to visit Arran after seeing your pictures a while back. One of these days I’ll get round to it. Meanwhile, if the opportunity arises to do some walking in Ireland, take it. Glad your car’s okay – it must be tough – Suzuki was it? Might consider one of those next if they’re that good! (I’ve got a Suzuki bike and she’s been pretty good). Naughty thoughts – but I know what you mean. Our last five cars have been Suzukis and we’ve had very little trouble with them. The first one we drove to Poland, Slovakia, Czech Republic, Switzerland and Italy, and nearly every country in between. Their only weakness appears to be rear wheel bearings. They’re rumbling a bit on our Ignis at the moment, and it’s nothing to do with backing down that flight of steps. I have not had the pleasure of visiting the Mourne Mountains and like you previously have only seen them from across the water on a clear Lakeland day. They certainly look a lot more rugged than I would have imagined. It never ceases to amaze just where drystone walls are constructed and just how long they last. I wonder what they thought when the boss said, “right lads I want you to build a wall from down here to up there”. Perhaps they were simply glad to have the work. The steps incident sounds a bit of a nightmare, hope the car did not suffer any permanent damage. Hi David, see previous comment regarding car and pride. 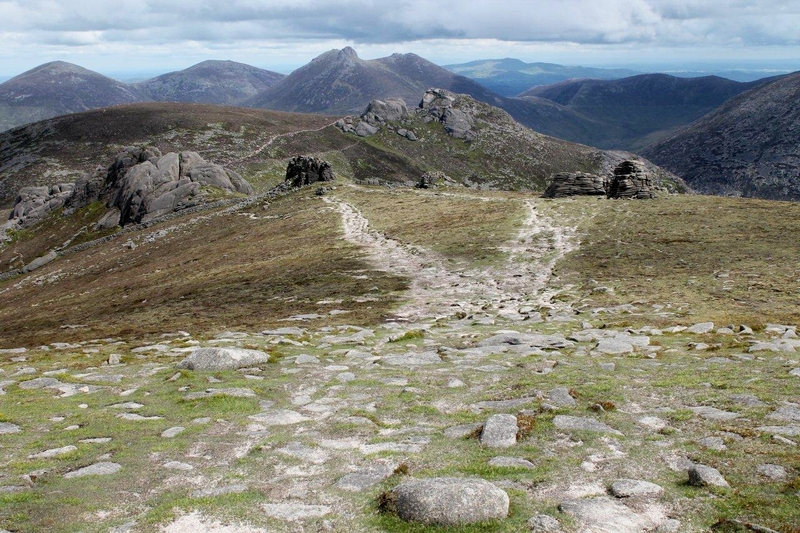 I, too, was pleasantly surprised by the ruggedness of the Mournes. On the way down from my second day, which I will be posting soon, I passed a young couple carrying ropes and climbing gear – so I assume there must be some good climbing in the area. Certainly the granite outcrops look ideal to untrained eyes like mine. 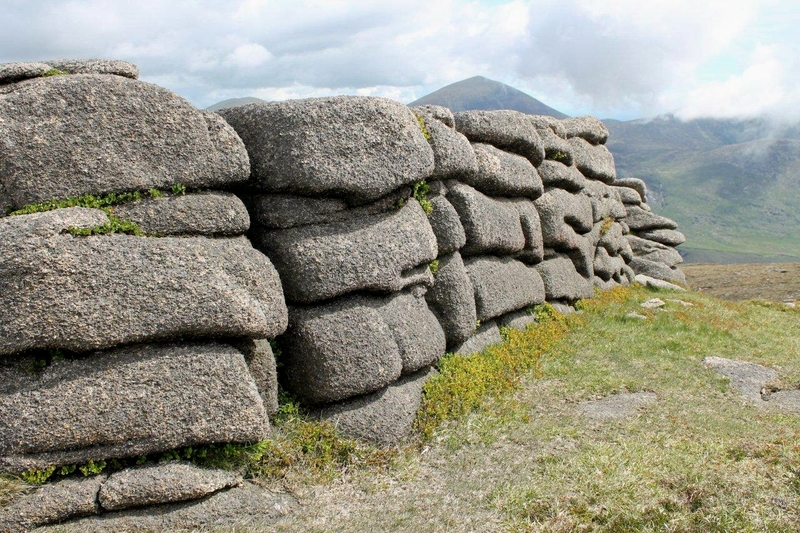 The Mourne Wall, at 22 miles long, must have almost been a job for life for some people. Like many outdoor jobs, it would have been great in the summer, but I’m not so sure about winter. But in hard times it brought the money in.